Started in 2000, Orbit specializes in maintaining Porsche racing and street cars. With our particular focus & expertise on the Porsche 911. In the early years we concentrated on professional GT Racing and our passion and success on track soon created an increasing demand for maintaining street cars too. From our large and well-equipped premises in Riveria Beach, just north of West Palm Beach, we are an ideal service point for Porsche owners across South Florida. We offer a full range of maintenance, repairs, service and restoration and are pleased to be collaborative partners with our customers, many of whom are long-term Porsche aficionados. 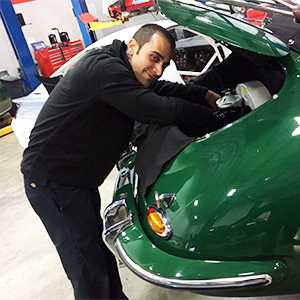 The Orbit team are highly skilled engineers, with decades of diverse Porsche experience between them fixing, maintaining, restoring and racing Porsche cars in in the USA and abroad. This experience of the older models, in particular the 911 range, means we’re proud of our reputation for providing the very best in problem solving and high quality repairs to the Porsche owner. Having spent time building up excellent supplier contacts worldwide, Orbit can provide our customers with the hard to find, quality replacement parts, along with partnering vendors on new product developments and offering a range of quality upgrade options for the Porsche driver. Our professionalism at Orbit is built from our passion and experience of the Porsche brand. Rodger has been enthusiastic about the Porsche marque since a young age, volunteering at his local Porsche repair shop as a teenager, then buying and selling them through college at the University of Arizona. His passion, engineering skills and meticulous attention to detail has seen Rodger’s dream to bring a quality service to both track and street Porsche owners become a reality. Orbit was started in 2000, driven by Rodger’s love for Porsche racing and he has had numerous on track successes, along with the accolade of running teams on three occasions at the 24 Hours in Le Mans and winning the 24 Hours of Daytona in 2004, including with Porsche works drivers. The company expanded to include services for road cars in 2005 and Rodger has successfully grown the business, now employing a team of people who share his enthusiasm and vision for quality, honesty and integrity with a full spectrum of services to both road and race Porsche enthusiasts, with a great many long-term satisfied clients. 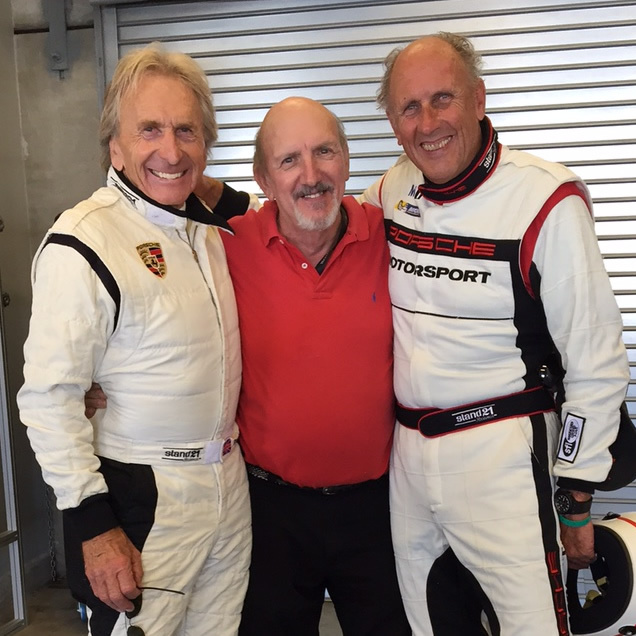 If you are interested in Porsche Racing - Mike will tell you about, because he was there. 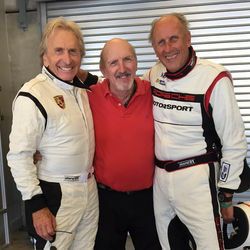 Mike began his career working with Brumos Porsche and the legendary Peter Gregg in the early 1970’s and continuing right thru today where he is currently managing the restoration of the Miller High Life Porsche 962. The same Porsche 962 that he took to an overall victory at Daytona in 1989 with Derek Bell, Bob Wollek, and John Andretti for Jim Busby Racing. After 50 years of working in professional racing, owning his own racing team, and travelling around the world to attend the races Mike has finally decided to retire. We are very lucky to have Mike with us at the Orbit workshop where he still enjoys spending his time, but more importantly Mike is a willing teacher to the younger generation that is so eager to learn. Drivers: Derek Bell, Hans Stuck, Peter Gregg, Hurley Haywood, Bob Wollek, A.J. Foyt, David Donohue, John Andretti, John Paul Jr., Danny Ongais, David Murry, John Morton, and many more! Pat’s life-long love of Porsche started at 16 years-old when he bought his 1976 914 which he raced at Porsche Club events. 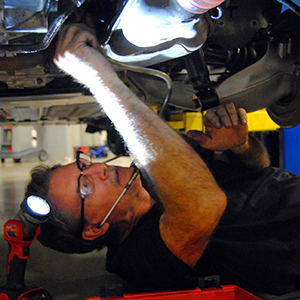 With 30 years of Porsche Technician experience, Pat is a well-respected authority on maintaining and repairing Porsche models from the late 1970’s through to 2000’s. He started with Stahl Motorsports in the late 1980's as Porsche Tech, moving on to be a Lead Tech at Autohaus of South Florida specializing in Porsche, BMW, Ferrari and Mercedes. He joined the team at Orbit in 2007. 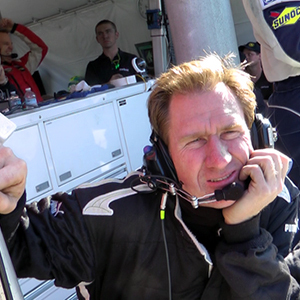 In addition to his Tech work, over the years Pat has also crewed for Transatlantic Racing Services with driver Scott Schubot in the IMSA Camel Lights Series, as well as travelling the USA with Metro Racing for HSR events.